Winning praises all over for its path breaking, enlightening and revealing take on the life of a lesser known real life hero from a minority, SHAHID is not what you often get to see in Hindi Cinema popularly known as Bollywood. Hence beginning with that very fact alone, this is a rare realistic attempt, brilliantly conceived and performed by the entire cast, introducing you to the new age honest savior of the framed innocents, who never lived for himself in his short span of life of mere 32 years. A true story of a selfless protagonist, fighting for the freedom of falsely framed victims of a minority community, this is about SHAHID AZMI, a noted lawyer who was killed in his own Kurla office in February 2010 by some unidentified men. With a mix of more facts and less fiction, director Hansal Mehta makes this best film of his career in a pure realistic style, as an absorbing documentation of the life of Shahid Azmi which is going to be a fascinating yet disturbing cinematic experience for many. Shot at actual locations with an immensely likable touch of romance in this otherwise unkind portrayal, the film reaches its peak with all the gripping courtroom scenes filmed in the most authentic manner rarely seen before in a Hindi film in particular. SHAHID grabs you from the collars within the first 10 minutes itself, especially in the scene wherein even a mother is scared to open the door of their hideouts in the riots, listening to the voice of her son knocking at it constantly. And once you get into the grim, shocking world of Shahid’s valuable life, Mehta never lets you move out of it even for a minute, in the next 100 minutes of his film very convincingly. Apart from its scary & unbelievable kind of real life account of a lawyer, what makes SHAHID hit you hard is its sharp editing, flawless casting and superb, realistic performances from the entire talented cast. Perfectly played by Raj Kumar Yadav, the actor goes deep down the skin of his character and surely becomes a strong contender of many worth deserving awards this year. Such is the authenticity in his performance that after watching him, one feels like having met the real SHAHID and for that both the actor and his director truly deserve all the praises showered upon them in the last few months. Other than Raj, there are two names in the film playing the female Muslim characters perfectly and the ease, with which they play their respective difficult characters, clearly proves the true talent of these ladies undoubtedly. The names are Prabhleen Kaur and Baljinder Kaur (Shahid’s mother) and they do provide a strong visible support to Raj Kumar’s towering performance along with subtle Mohammed Zeeshan Ayub, silently playing his helpful brother. As the public prosecutor, Vipin Sharma once again proves that he is a remarkable actor. Plus Kay Kay Menon & Tigmanshu Dhulia, truly impress in their small cameos, as expected. Also Shalini Vatsa, Prabal Punjabi and Mukesh Chhabra turn out to be a very valuable addition to the supporting cast with their truthful acts. Considering the film from a general public viewpoint (since it has been released well), one might find few glitches in it related with Shahid’s Pakistani training camp days and his escape from there, shown in just a few scenes. Moreover Kay Kay simply vanishing from the story progression to never return later may also tease many (like myself). But these few points are not solid enough to bring down the excellence achieved by the team in its overall depiction and thus need to be ignored to attain a bigger and much important social objective as desired. Regarding its commercial prospects, films like SHAHID are now enjoying a wide release mainly because of the recent success of projects like SHIP OF THESEUS and THE LUNCHBOX. However, sitting in the theater alone in its first show, I sadly had to admit that probably there are going to be less takers for this film comparatively due to its dark theme. To put it straight, SHAHID belongs to a different genre altogether, not having any likable comic moments as one must have enjoyed in THE LUNCHBOX. It is also too grim and less entertaining if compared to last year’s well-made bio pic PAAN SINGH TOMAR. 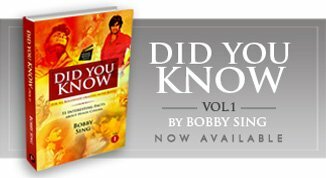 (Here BHAAG MILKHA BHAAG is out of comparison as it is more of a glossy and commercial screen adaptation of a legendary name). But studying it from a more significant & distinctive angle, SHAHID is largely raw, blunt and realistic in its explosive portrayal of a fighter character, who successfully tried to fight the system by being a part of it. And for this it deserves to be rated much more than PAAN SINGH TOMAR and one has to be in a completely sensible and practical state of mind before watching this new age classic from Hansal Mehta. Yes, it does present the profession of Lawyers in a shady light but at the same time it also supports the truth that Justice does get served, may be a bit late then expected, as expressed in a line, “Der Lagti Hai, Par Ho Jaata Hai” and many more small golden nuggets present in its dialogues. Personally, more than the film, it is the message, the purpose and the mission of the man named SHAHID, which forces me to include it in my must see movies list right away, particularly for the Indian viewers, who are facing this religious clash everyday like an inseparable issue of our multi-cultured society. Specifically talking about the unsung hero of many victim families from the minority, SHAHID is an important document bringing to us an iconic name of our social system, not known to majority of people living in the other parts of the country. And the reason for this shameful mass ignorance ironically lays in the way our media works, which actually holds back the positive news for their obvious reasons and always spreads the negative word around in a much stronger and deliberate manner to gain some instant attention. Probably that is the reason why we very well know about the men who made important arrests at those crucial times of crisis but don’t really know about the man who got many innocents out of the jail after few years, rightly fighting the court of law with his own sincere efforts. For instance, be it Mumbai, Kashmir, Punjab, Gujarat, Assam or any other region of our country, we always get to hear and read the news of suspected terrorists arrested from anywhere and it’s at once all over the media as their main focus. But whenever the same court serves justice making those ‘framed people’ free after having proved innocent, very seldom we get to hear about them on the channels or respectfully mentioned in the headlines on the first page. In support of my point, would like to share that just a few weeks before in the last week of September 2013, two men were acquitted of all terror charges after spending five years in jail and the court gave a verdict, mentioning that they were both framed wrongly without any evidence. But the big judgment could not make to the front page news and only a few newspapers or channels gave it the deserved coverage showing their unbiased attitude. The poor coverage of such cases, don’t let us know about many courageous and human right activists like SHAHID AZMI and therefore the film presented on his life is indeed a very vital and major contribution made by Hansal Mehta and his team to Indian Cinema as well to Indian social system, embracing diverse religious beliefs since centuries. Practicing as the lawyer for such special framed cases, Shahid had an astonishing record of getting 17 acquittals from the court in his short career span of only seven years. And even thinking about those 17 families greeting their wrongly framed members back in home is enough to make you realize the relevance & importance of this historical achievement made by the makers of SHAHID. So if you are willing to see a rare kind of alarming as well as enlightening biographical film made on a true fighter who always fought for others in his forcibly shortened life of only 32 years, then do watch SHAHID as a must and celebrate this new triumph of Indian cinema made for a cause. And in case you wish to know more about The Man before making a decision then do read this article at the link given below and then go for it at the earliest! Starring : Raj Kumar Yadav, Prabhleen Kaur, Baljinder Kaur, Mohammed Zeeshan Ayub, Vipin Sharma, Kay Kay Menon, Tigmanshu Dhulia, Shalini Vatsa, Prabal Punjabi, Mukesh Chhabra and more. Please rectify Raj Kumar Gupta to Raj kumar Yadav in star cast. What I love about your reviews, besides commenting on movie, you also see movie as a reflection of our society and your study includes both, society as well as movie. I got to know much about Shahid Azmi from the link you provided. You are doing a great job. Love you brother. Thanks a lot for the correction and its done. Plus a big thanks for your kind appreciation brother for the honest work here continued just for the passion lived by we all true lovers of Cinema.